Published March 26, 2019 at 800 × 633 in shot and shave. 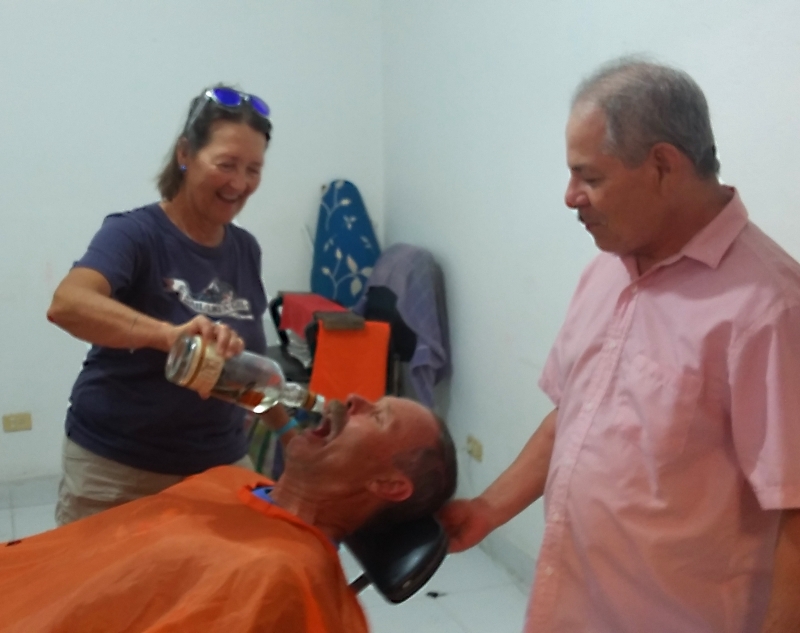 A Shot and A Shave is a Sailfest event that involves getting shaved with a straight razor and having tequilla poured down your throat. The guys let Donna perform the honors since she was walking by.